So today’s hymn will actually be covering two different topics: Word of the Year 2016 and Hymn of the Week. We’ll do the hymn first. I chose “His Way With Thee.” It is a lovely, upbeat hymn from many years ago. It focuses on the question of whether or not God is in control of your life. Do you let God have “His way with thee?” That is a really hard thing to do sometimes. I think that is one reason this song resonated with me when it was led in church this morning. And, it leads me right into the Word of the Year 2016. My chosen word for this year is “control.” This is something that I struggle with. I want to have control but I know enough to know that I don’t know enough to be in control. That is God’s position. He is at the control panel. He is sharing with me through His word and I need to be in His word daily. I need to be looking for His will and letting Him have “His Way with Thee” (me). 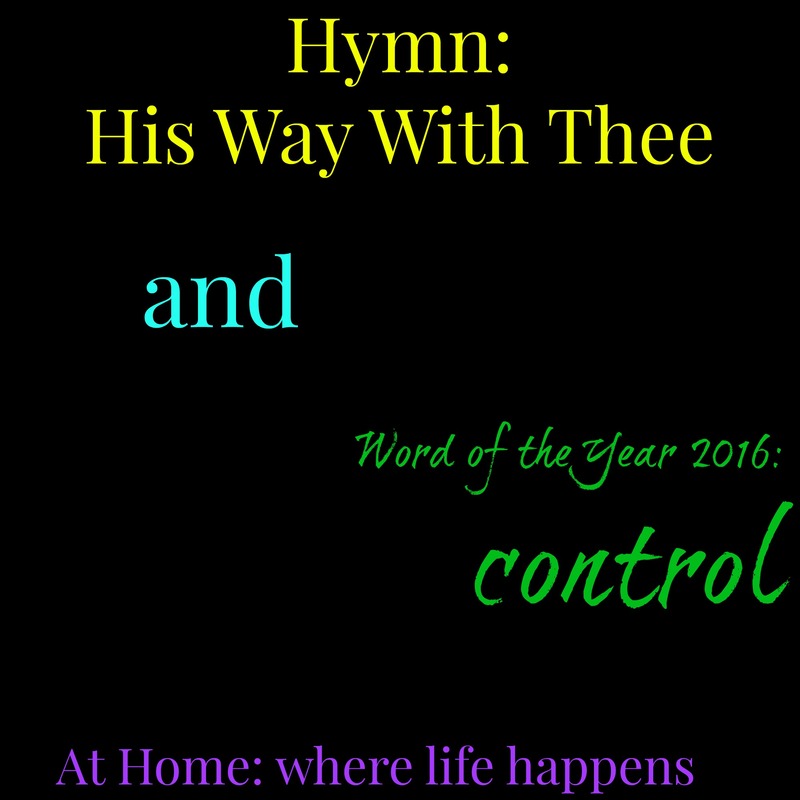 So, for 2016, my word is “control.” I am going to work harder on allowing God to have the control of my life, to work for Him and through Him. 1 Would you live for Jesus, and be always pure and good? Would you walk with Him within the narrow road? ’Twas best for Him to have His way with thee. 2 Would you have Him make you free, and follow at His call? Would you know the peace that comes by giving all? Would you have Him save you, so that you can never fall? 3 Would you in His kingdom find a place of constant rest? I can imagine lots of growth with the word control. I, too, struggle with letting go of my control and letting His control BE in control. That can definitely be a challenge! What a great hymn to complement your word! I pray you have many blessings in 2016! Thanks for linking up at Pea of Sweetness!